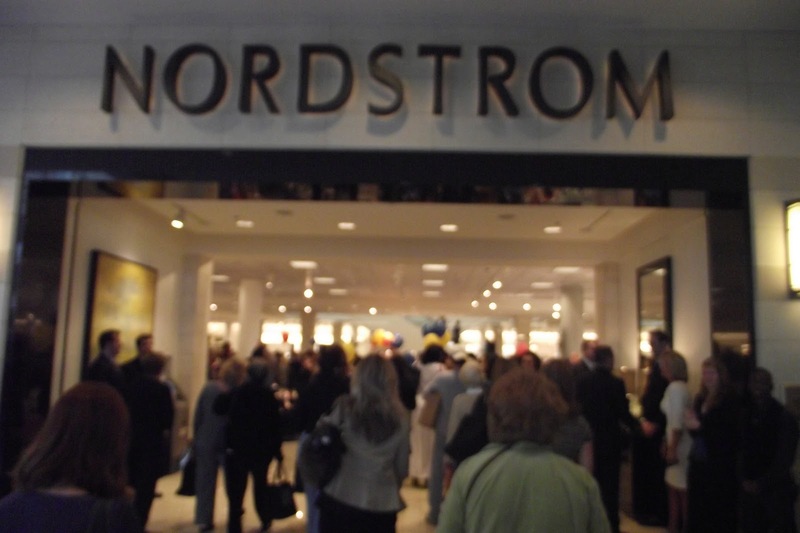 Friday morning was the big day; Nordstrom Nashville finally opened their doors! Let me tell you, this event was phenomenal! I’ve been to many store openings, but this one was epic! It seemed like I was at concert not a grand opening. There was an emcee, a DJ, prizes given away, and so much joy in the air. Exciting times I tell you! Before the official opening, the store held a Beauty Bar. 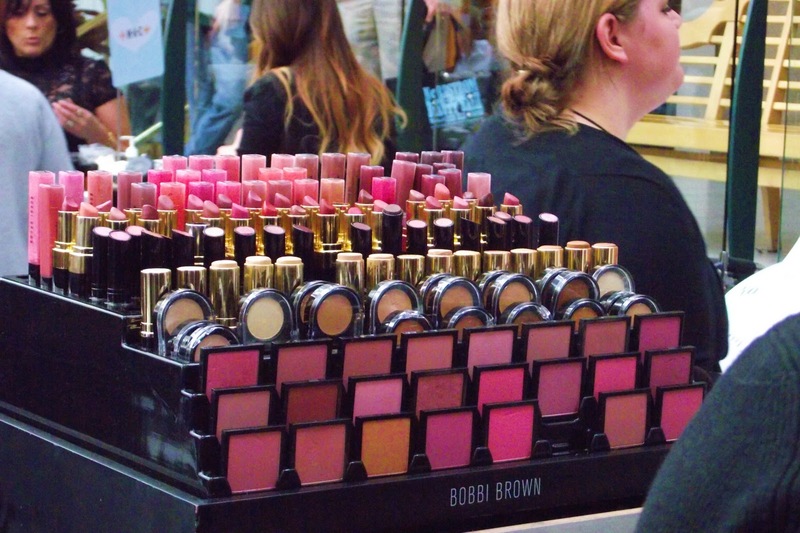 Every cosmetic and beauty line sold in Nordstrom Nashville was represented with a station. Customers could get mini-makeovers, beauty tips, and make special purchases only available on grand opening day. 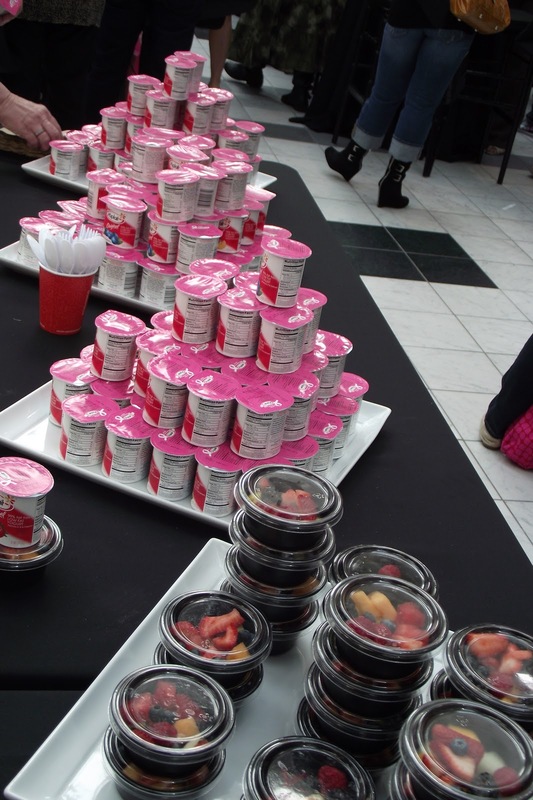 Breakfast was served as well: Yogurt, fruit salad, coffee, and other goodies greeted us while we waited for the the doors to open. The doors opened at 9:55am! As the gate was pulled back, the crowed actually CHEERED, then ran in the store ready to be amazed. Now let me preface this post by saying that I’m not new to the Nordstrom brand. I’ve visited the stores in Boston, New York, and Miami. However, there something about having a Nordstrom in your backyard that makes one feel . . . fancy. I’d have to say, Nashville is really stepping up in the shopping game. 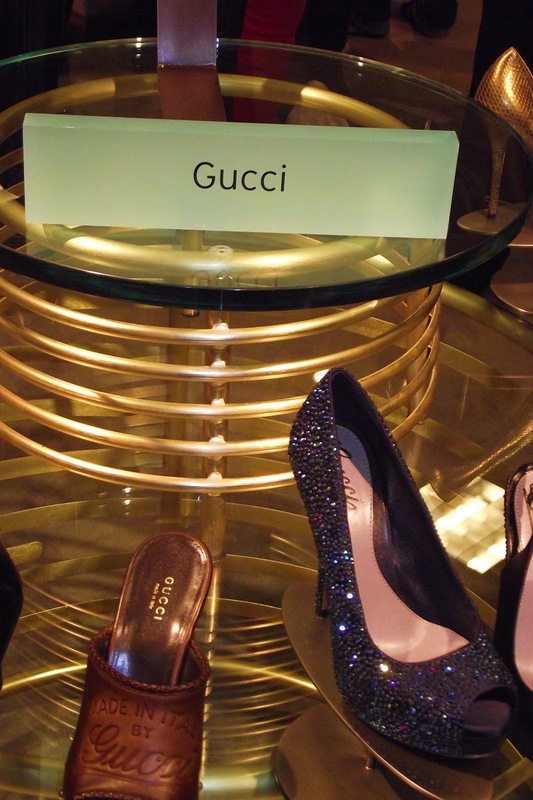 I’m so in love with theGucci and Chanel boutiques inside the store. 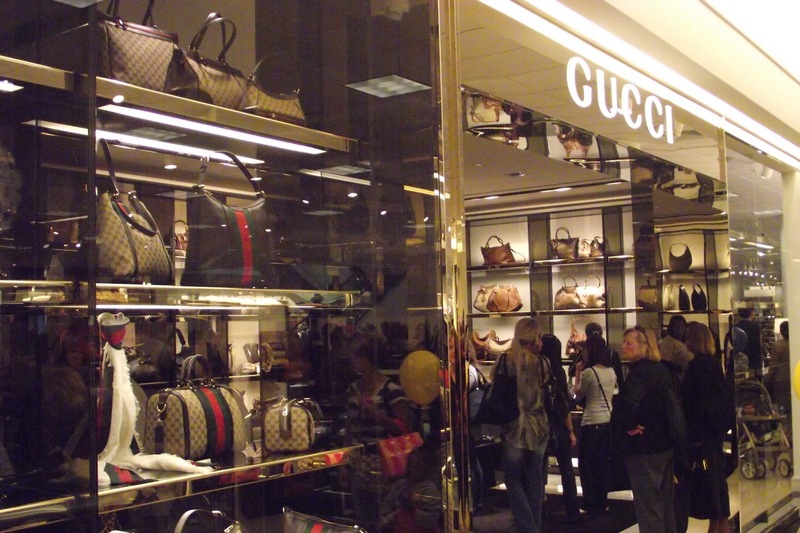 On two levels you get Gucci and Chanel accessories and clothing boutiques. 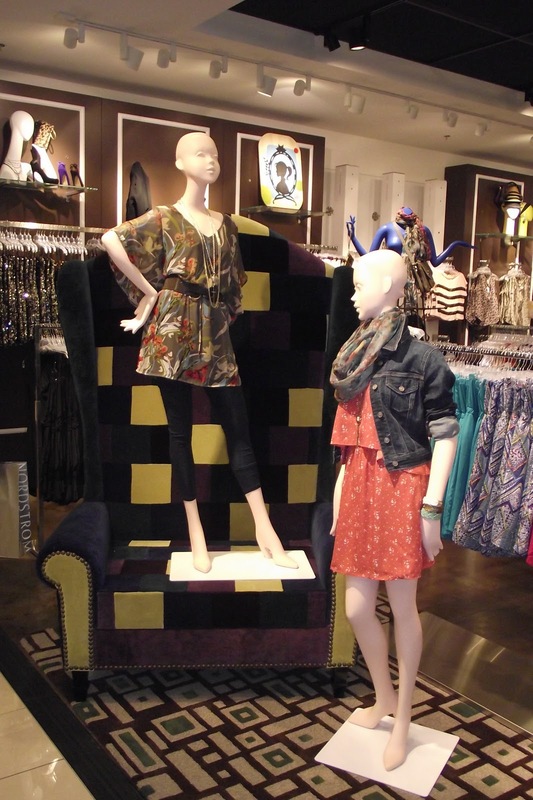 Each in-store boutique has there own expert associates ready to help customers find what their looking for. Ladies, you are gonna die and then be brought back to life when you glance at the shoe department. 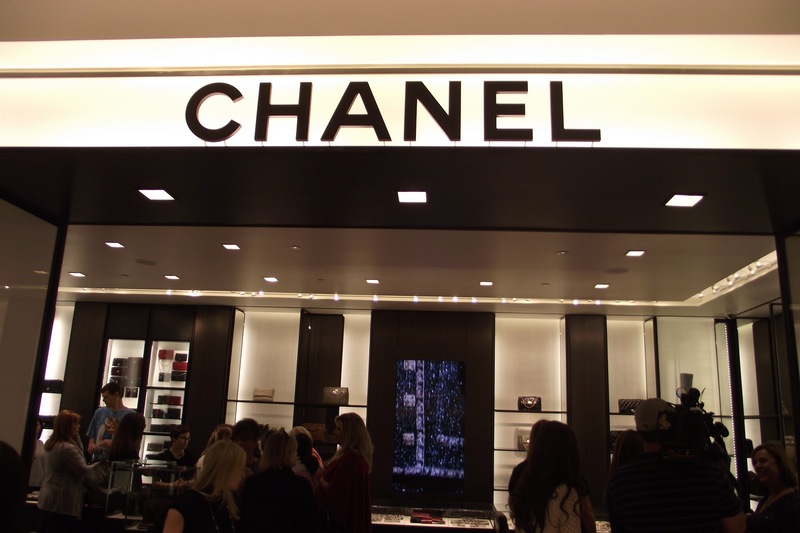 With the exception of Christian Louboutin, you can find the most popular luxury brands in the store. When I read Vogue, I always want to see the actual product. Now, that’s not a problem, Nordstrom brings the pages of Vogue to our backyard. Another favorite was the lingerie and intimate apparel section. Take a look at the decadent interior design. The Nordstrom brand offers personal shoppers to help you find what you need. Good stuff for someone who may be a bit shy when it comes to finding fancy under-things. The Juniors section was quite nice as well. 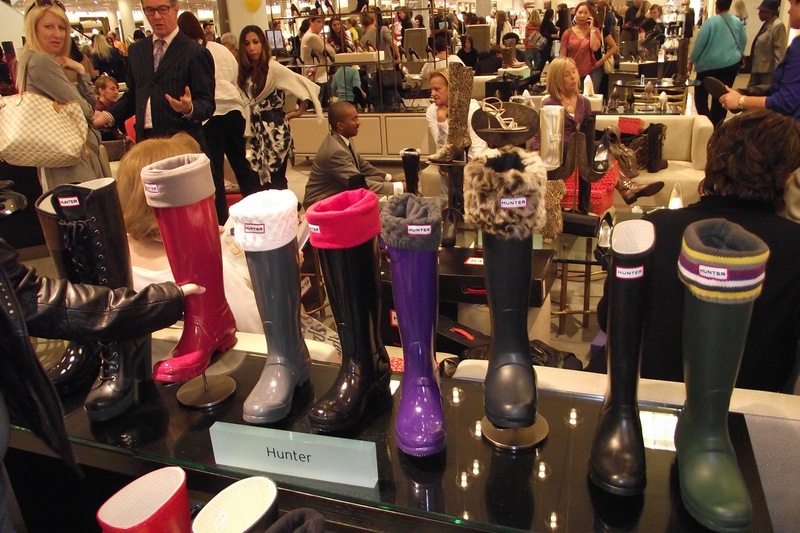 There was a huge selection of trendy designers and lux offerings. 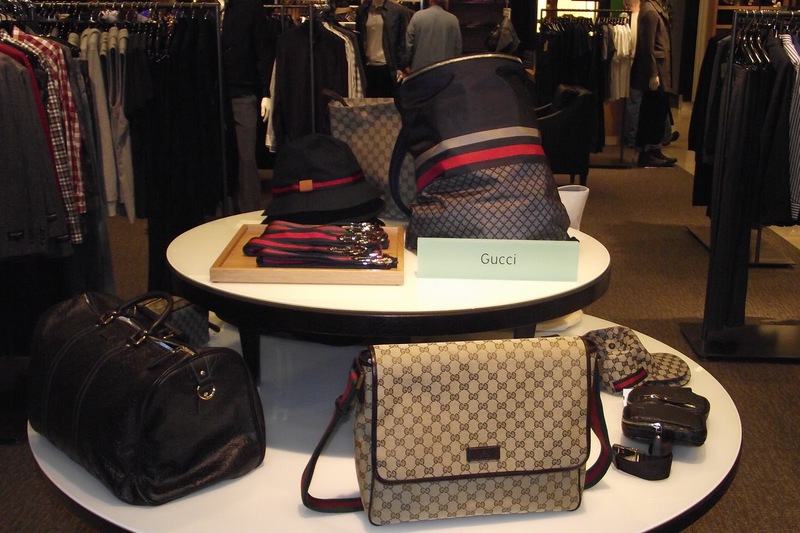 The Men’s section wasn’t too shabby either- top level design brands lined the racks ready for purchase. I loved the After 5 section! Cute cocktail dresses shimmered in the sunlight as customer browsed the aisles. Lastly, I loved the window dressings. There are six entrances to the Nashville Nordstrom. If you don’t feel like going through the mall, you can enter via the various parking garage entrances. 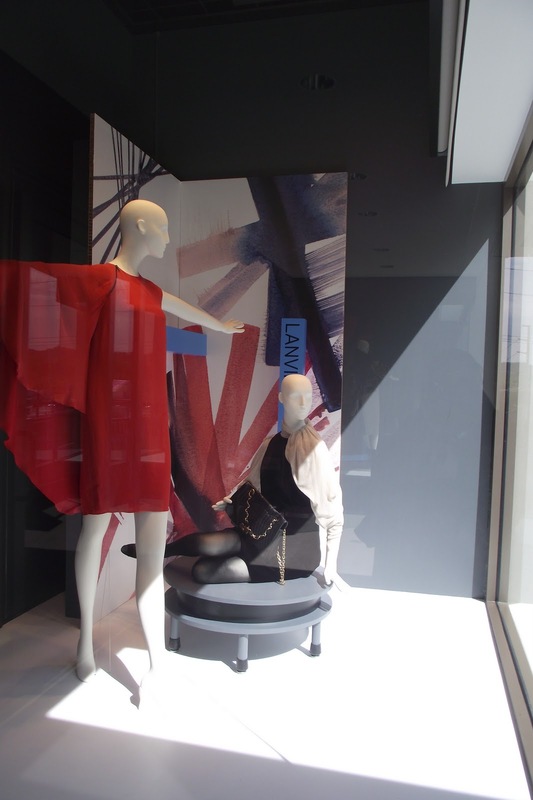 You’ll be greeted by contemporary window dressings showcasing mannequins wearing the latest collections. So there you have it! 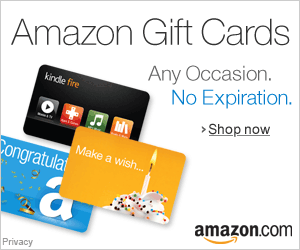 I hope you get a chance to visit the store. The sales weren’t popping at the moment, but give them about a month to develop a clearance section, that’s time to strike! Happy Shopping!